Breakfast with History: Padres, Protectors, Promoters, and More! 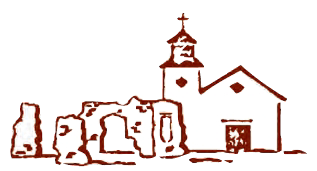 Guest speaker, John Cloninger, former THS Board President: An overview of the history of Tubac and the Santa Cruz Valley from the late 1600s to the 1920s with key dates, events, and lesser-known stories about the people who lived there. Tubac Historical Society 2019 Annual Picnic at Hacienda Corona de Guevavi. Enjoy tours of where the Duke stayed, and a scrumptious meal. Las Vigas Food Truck providing: BBQ chicken, mesquite burgers, ranch beans, pasta salad, and carrot cake. Water, iced tea, lemonade, coffee, provided. BYOB! The Social History of Nogales in the 20th Century with historian, Axel Holm.